Gain even more savings by pairing your accommodations and flights. Expedia has heaps of outstanding Minden travel packages that'll save you time and give you more cash to splurge! Savings of up to C$590* are waiting for those travelers who secure a package deal on Expedia. With more than 400 partner airlines and 321,000 worldwide properties available to you on our global database, you'll be heading off on your next vacation in no time! Not sure about your booking? There are no extra charges from us for changing almost any reservation. It's nice to just wander the streets in a new destination, but sometimes it's wise to come up with a plan. Grab your itinerary — we have lots of cool ideas for your impending Minden vacation. Exploring a local area's monuments is a great way to glean an insight into its history and achievements. Stop at Kaiser Wilhelm Monument and learn the compelling story behind it. Adventurers have an abundance of choice in and around this destination. Used as a house of public worship and moments of spiritual meditation, Minden Cathedral is a revered religious structure. That being said, you need not be a faithful church-goer to take in this peaceful place. Still have some time on your hands? Forget your history books! Allow the past to jump to life at Minden Museum. Seeking luxury getaways or cheap vacations in Minden? There are only 4 accommodations to choose from, so act fact! Expedia is here to help. Having problems deciding where to spend your evenings? Why not check out the Victoria Hotel and Holiday Inn Minden? The first is located at Am Markt 11 and the second at Lindenstr. 52. Hannover Airport (HAJ) is the starting point for most people heading off on a trip to Minden. It's based 35 miles (56 km) from the heart of town. Situated in Minden, this hotel is within a 10-minute walk of Minden Museum and Minden Cathedral. Potts Park and Kaiser Wilhelm Monument are also within 6 mi (10 km). Minden (Westfalen) Station is 24 minutes by foot. 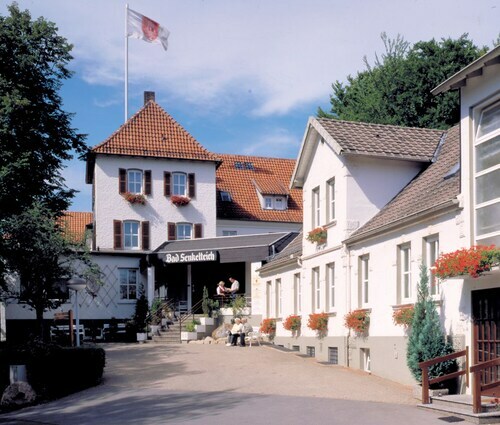 Situated in Minden, this hotel is within 1 mi (2 km) of Minden Cathedral and Minden Museum. Potts Park and Kaiser Wilhelm Monument are also within 9 mi (15 km). Minden (Westfalen) Station is 5 minutes by foot. 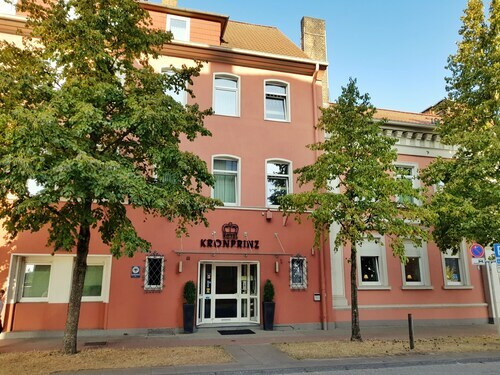 Situated in Minden, this hotel is 1 mi (1.7 km) from Minden Museum and within 3 mi (5 km) of Minden Cathedral and Kaiser Wilhelm Monument. Potts Park is 3.1 mi (4.9 km) away. Situated in Minden, this hotel is within a 5-minute walk of Minden Cathedral and Minden Museum. Potts Park and Kaiser Wilhelm Monument are also within 9 mi (15 km). Minden (Westfalen) Station is 20 minutes by foot. 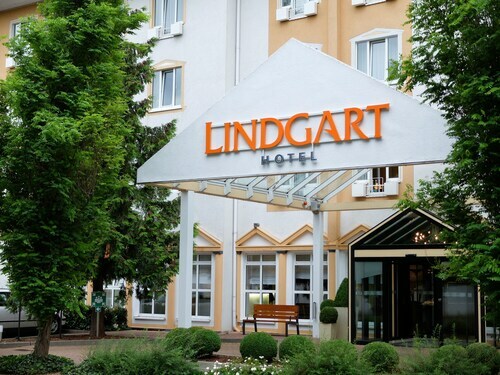 Situated in Minden, this hotel is 1.7 mi (2.7 km) from Minden Museum and 1.8 mi (2.9 km) from Minden Cathedral. Potts Park and Hille Church are also within 9 mi (15 km). 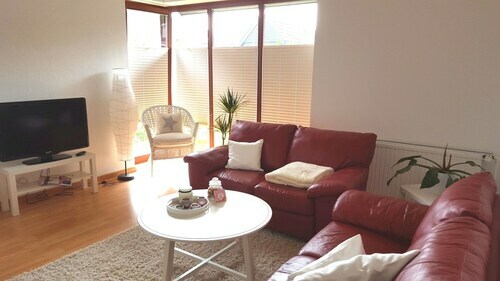 Situated in Minden, this romantic property is within 1 mi (2 km) of Minden Museum and Minden Cathedral. Potts Park and Kaiser Wilhelm Monument are also within 6 mi (10 km). 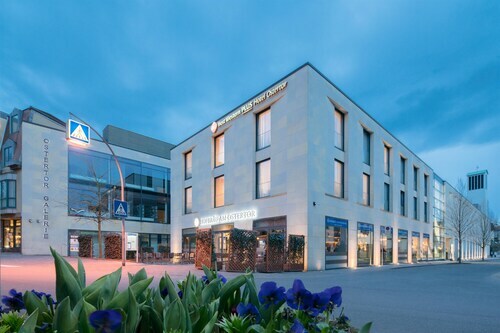 Located in the heart of Bad Salzuflen, this hotel is within a 15-minute walk of Gradierwerken, Kurpark, and Hortus Vitalis. Bad Salzuflen Exhibition Centre and Messezentrum Bad Salzuflen are also within 3 mi (5 km). Bad Salzuflen Station is 8 minutes by foot and Schötmar Station is 21 minutes. 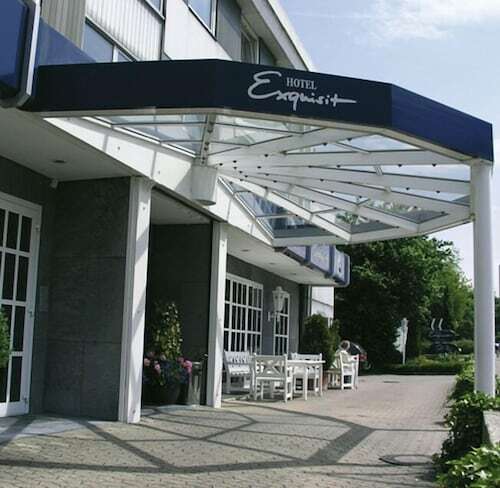 Situated in Vlotho, this hotel is within 9 mi (15 km) of Kurpark, Kurpark, and Aqua Magica. Hortus Vitalis and Gradierwerken are also within 9 mi (15 km). Mon., 20 May - Wed., 19 Jun.